BREAKING: The Source Of The Glen View 'Fire' Found. Home Coach Tarie Featured Post BREAKING: The Source Of The Glen View 'Fire' Found. 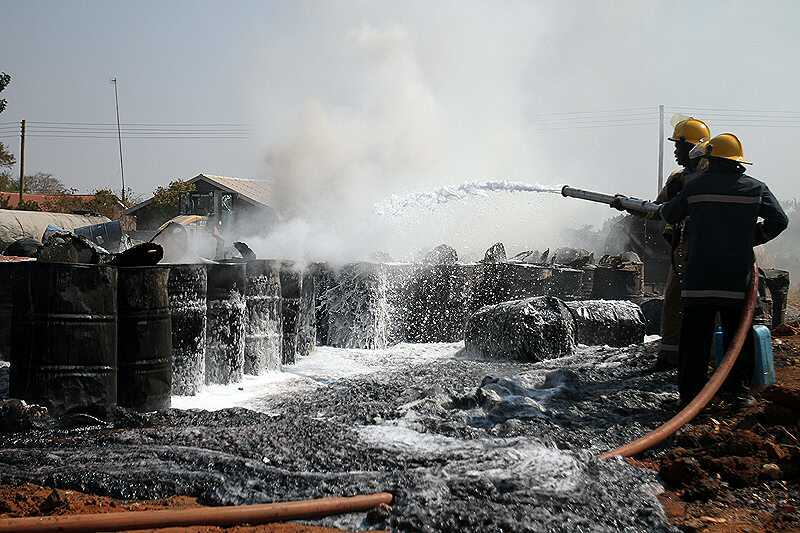 The last week of July saw property worth millions of dollars owned by hundreds if not thousands of small to medium entrepreneurs destroyed by fire at Glen View home industry complex. It is not yet really clear where the fire originally started from and every one is wondering what really happened. Where did the 'fire' start from is what everyone is looking for. Before the physical fire destroyed the work of many entrepreneurs invested for a number of years, I have taken time to try and understand where the real 'fire' really started from. Over the last number of years a lot of factors have impacted global economies from recession, climatic changes and many other factors. Zimbabwe was not left behind and with other issues like sanctions and inconsistent weather patterns and a lot of negative publicity many industries have closed down leaving over a million of people unemployed. The Source Of The Glen View 'Fire' Found. This harsh economic environment ignited an entrepreneurship 'fire' in many Zimbabweans. As the saying goes, "Great ideas are born out of adversity" many Need-based entrepreneurs were born and many of them were in the furniture industry that saw a ready market from Zimbabweans who are known for their desire to own property and aquire it debt free. The entrepreneurship 'fire' found its source in the adverse economic conditions and is giving millions of people a living in a nation with unemployment at skyrocketing pace with further closure of industries and retrenchment of workers from many companies feeling the heat. A few weeks before the Glen View arson saga, property owned by vendors was also destroyed by fire after another 'fire' an entrepreneurship one had also been started by the state of things. The entrepreneurship journey in the Glen View Home Industry saw another fire, a physical one of course come from a source yet to be verified and destroying property. Even though people managed to put out this fire my desire and cry is for those who lost property and my plea is that the entrepreneurship fire in many of the entrepreneurs who lost property in the fire will not be put out. Arson is not always a crime and the fires started in thousands of the small and medium business owners’ hearts should be fanned and reinvigorated. The road to success has obstacles and many world changers had to see their dreams attacked by different fires. One reality that I know is that fire cannot quench another 'fire' especially this inherent entrepreneurship ‘fire’. The world media about a decade ago carried the story of the man running for US presidency Donald Trump lose his fortune worth $4 billion then that he had acquired over a long period. The loss did not quench the entrepreneurship 'fire' in him and in a short time he had recovered it all and even more. Many upcoming entrepreneurs hit icebergs and the successful ones are those who never quit but pick themselves up and restart with greater passion. The source of the entrepreneurship 'fire' is known, so it's my urge to these entreoreneurs in Glen View to stop mourning and attending ‘pity parties' and rekindle the 'fire' for the livelihood of families and the nation at large. It's not easy but we are in a revolution, and as we approach heroes holiday lets remember that heroes never cease to be made but they are made in adversity. Entrepreneurship is build on GET-TO-IT-IVENESS which is the ability to get to it and the people who lost property in the fire managed to start something and the second thing is STICK-TO-IT-IVENESS which is the ability to stick to the cause. Fellow Zimbabweans let us stick to what we started….. Entrepreneurship is the hope for the nation- Coach Tarie: Arise Africa Cause-It’s a love revolution. Coach Tarie is a Life Coach who does a lot of coaching on ENTREPRENEURSHIP and many other life issues. Coach Tarie | Pastor| Life -Executive-Entrepreneuship Coach | Consultant| Leadership Trainer | Speaker | Blogger. www.coachtarie.com | coachtarie@gmail.com | facebook | Twitter | Linkedin @ Coach Tarie | +263773 301 267 | +263 738 494 105.